Topic: DKC1: Minimal Y Presses! The ranges vary significantly with mouse movement. 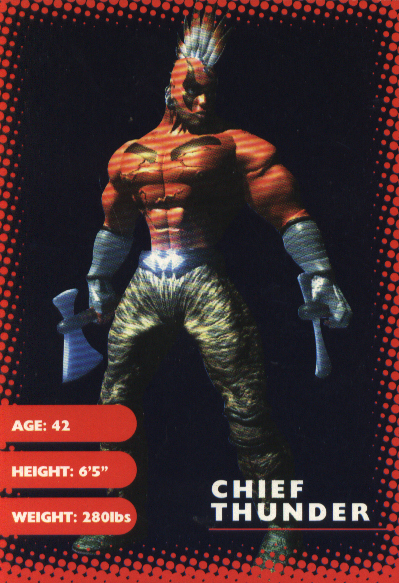 I can see what you mean about the likeness to Sweet Tooth, but I'm pretty sure that's Chief Thunder from Killer Instinct. It's great to have a tutorial video outlining the process clearly, so thanks for sharing. I've yet to try my first SJR, but now I'm encouraged to give it a go. I'm not sure about the specifics of this either, but perhaps the mapwarp corners could be modified to point to an instafail bonus room or something like that? This ought to be possible, and should send the "no cheating" message loud and clear. Welcome to DKC Atlas, by the way! I know I already chatted with you about this, Jungle, but I have the strangest memory of Rattly wearing a fez. Great job on these, Kimi! One day I'll play Undertale and will understand the true depth of your art. Well, you'll find plenty of those here! We should probably teach Joselix how to forum. That feeling is but a distant memory to me... but at least I'm less than a decade out of touch (just barely!). My pleasure! I look forward to talking DKC with you. Topic: someone can tell me how I can put videos on the forum? I just had a listen through the full collection so far, and really enjoyed it. I'd love to hear your take on Pokey Pipes when you get a chance. I'll listen to these latest orchestrations soon and will post any feedback that comes to mind. Nice level, Phyre; your mockup captures the oasis aesthetic beautifully. Sunset Shore (rather than Shores) is already a DKCR level name, but perhaps Dune Lagoon or Mesa Oasis (or Oasis Mesas) could work as rhyming names. I liked your Busted Bayou piece, but I love this one! The colour choices and environment design are right on point, and it's great to see Dixie in action. There are indeed some truly brilliant DKC fans out there. Oh wow, that's a thing of beauty indeed. One of the finest DKC2 tributes I've ever seen. I hope Mr Cazetta makes more of these! As you can see on the map, there are walls either side of the Bonus Barrel you referenced. The Kongs are able to stand on top of these walls, as they feature very thin physical surfaces. A fun side effect of this level's somewhat jumbled construction. Topic: Abandoned Rare Projects — New Project Dream footage/info!